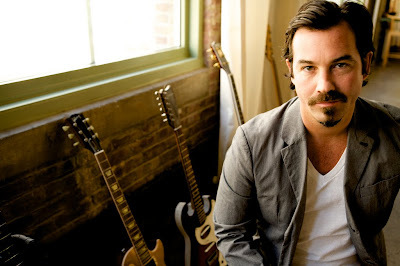 Thursday night, the Grammy and Tony award-winning singer and composer Duncan Sheik performed the first show in his six-city concert tour at the South Orange Performing Arts Center in New Jersey. I caught up with Sheik at the post-concert reception, and with a glass of wine in hand, he discussed some details of the Spring Awakening film adaptation, currently in development. For those hoping that Lea Michele and Jonathan Groff will reprise their roles in the film, Sheik said there is no chance of any original Broadway cast members making it on screen. Sheik noted that by the time the film goes into production, the actors would look too old to convincingly portray 15 to 16 year olds. Regarding the much-talked-about decision to hand directing and producing responsibilities over to McG, mostly known for action movies such as Charlie’s Angels: Full Throttle and Terminator Salvation, Sheik maintains that the director was adamant about taking on the project. Sheik said McG courted himself and writing partner Steven Sater for 18 months about the project. It was McG’s desire to shoot on location in places like Prague, and to focus on the performances that won Sheik and Sater over. Sheik added that McG has extensive experience with big-budget films, and said he claimed he knew how to make the film look high budget for less. Also milling around the reception was Holly Brook, a regular back-up singer and accompanist on Sheik’s tours, who just came off the successful San Diego run of the composer’s latest musical venture, Whisper House. If the musical ghost story makes its way to the east coast, Brook said she would love to reprise her role as the female ghost. While she said she does not yet know of any upcoming production plans, she said one change that would likely be made is to the set design. Brook said that while at the Old Globe, the scenery, which is the interior of a lighthouse in Maine, was a bit complicated and didn’t come across well enough to the audience. Brook added that the redesigned set would probably be more minimalist. Sheik took the stage surrounded by numerous acoustic guitars at his disposal, Brook to his left on piano and backup vocals, and Gerry Leonard to his right on electric guitar. His set lasted an hour and a half, and included work from two of his musicals—Whisper House and Spring Awakening—his upcoming album of covers, and his solo music. Sheik was characteristically bashful in his bantering with the audience, but despite his onstage self-deprecation, he continuously reached out to speak to the crowd after every song. Sheik and Brook kept highlighting the fact that their instruments were out of tune, and they were having sound issues with their ear feeds. Brook even jokingly chastised Sheik on stage for not writing out an official playlist before the show, and that they should do it before the next city. Later at the reception, Sheik told me about the sound issues during the concert, and chalked it up to the fact that this was their first stop on the tour, adding this was the first time the three musicians had gone through this set together. Sheik told me that when the tour hits San Francisco’s Symphony Hall in April, they will be playing with a 90-piece orchestra. Highlights from the set included Whisper House’s “It’s Better To Be Dead” for its striking guitar base and “We Don’t Believe In You” for Sheik’s vocally emotional delivery. All three songs from Spring Awakening were top notch, and made me miss the show so much that I ached. Sheik’s vocals on “Touch Me” had particular sweetness. 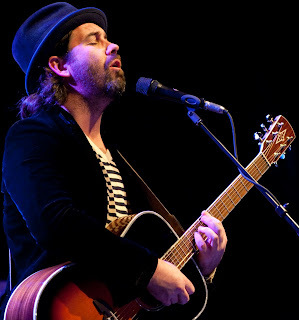 From his upcoming album of covers, “The Ghost In You,” was sang with just as much romance as his own gorgeous “Such Reveries,” and “Stripped” had a sinister tone that was similar to his Whisper House work. As for his solo selections , the upbeat songs “On A High” and “Start Again” had the most sound and tuning problems, while the slower, more melodic “Such Reveries” and “Home” seemed to engage more of Sheik’s interest. As for his encore, it will always perplex me, Sheik’s unwillingness to play his mid-90s smash hit “Barely Breathing.” Disregarding it as a “pop song,” Sheik played it just as good as it ever sounded, and exited the stage with an “are-you-happy-now?” smirk. @Anonymous: Definitely sure. Duncan said so himself. As for technology, I'm not sure how I feel about an AVATAR-style SPRING AWAKENING film, hahahaha! I don't know whether to upset or thrilled about this. I agree, they would've been much too old — I understand Sheik and Sater like the actors to be young enough to look the part and connect to the innocence of a child. I'll be upset that John Gallgher Jr. isn't in it though, he was absolutely fantastic, my absolute favorite actor to have ever been on stage in this production. I'm surprised though! Considering that Lea Michele has found so much recent success in the mainstream with Glee, I would've expected them to go for OBC. You know, bigger actors, bigger gross. But I thing that's a good sign. They're focusing more on the actual movie than publicity. Hmm what about Matt Doyle being in it??? He looks younger than Lea and Jonathan, even though he's around the same age. I hope they at least cast some of the performers from the touring cast. All of the broadway actors have a great knowledge of and experience with the show. I’m excited for a Spring Awakening film…But I really wanted to see the OBC in it….I mean, look at the movie Rent….Idina Menzel was already in her 30’s when she filmed it…Yet again the characters in RENT weren’t suppose to be between 14-16 years old. I know it’ll be great nonetheless…But I would’ve really liked to have seen Jonathan Groff, Lea Michele, John Gallagher Jr, and Skylar Astin reprise their roles..They were EPIC. I really wish they would at least get Lea back for it. She’s playing a 16 year old right now on Glee. I’m convinced, she’s super petite enough, and just don’t make her up all fancy. Groff, yeah, he’s probably too old. And I agree that Gallagher not being in it will be devastating…but I understand their reasoning. It’s just gunna be so hard to see someone else playing these characters! I love them all so much! This is just stupid. Lea, Jon, John and (wait for it) Jonathan were te best actors to be in SA. I don’t want to see othe r people do it. Les created the character Wendla, Mama Who Bore Me is the song that really shows who Wendla is andno one but Lea can pull it off. OH GOD YES. MATT DOYLE. HE IS AMAZING HE WAS IN SA AND HE WOULD BE PERFECT. Anyway, yes, I’m ready for this movie……..no Taylor Swift type stunt casting. Em tempo: "Si esqueci" de deixar claro que a redundÃ¢ncia "Finalmente, mil perdÃµes, mas nÃ£o tenho do que me desculpar" Ã© um chiste, foi proposital. Valeu!